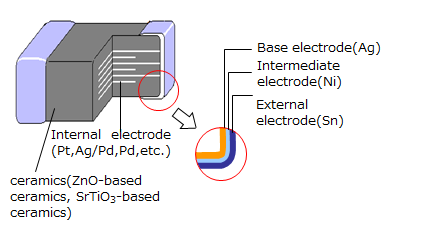 Panasonic offers both single and multi-layer versions of Metal Oxide Varistors or Surge Absorbers. Our MLCV's are available in several SMD Packages, various voltages and offer a wide range of peak current/energy handling. 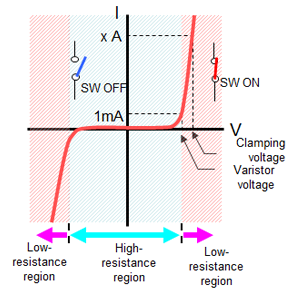 Varistor stands for Variable Resistor. It’s a voltage nonlinear resistor/voltage-dependent resistor. It is an element that changes its resistance value depending on applied voltage. This is the ceramic electronic component the character of which is used to protect electronic devices from the abnormal voltage, such as lightning surge and static electricity. It can contribute to miniaturization and lightening of various applications. 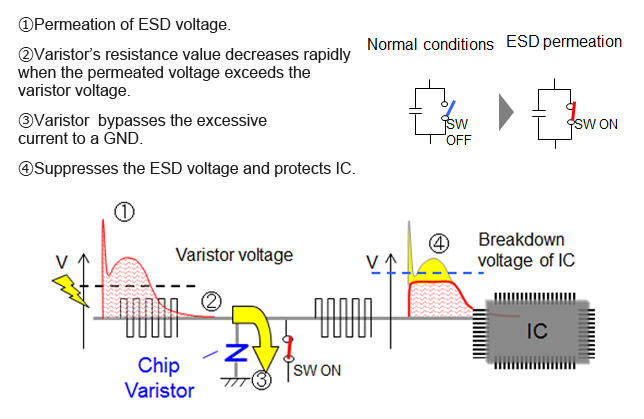 Chip Varistor is mainly applied to general signal circuits and in-vehicle devices. 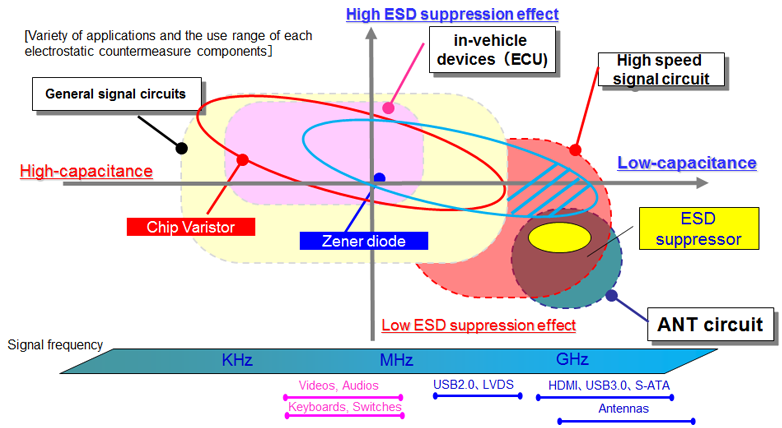 It can be applied to various devices. 0402 (1006mm）size is the top-seller in the ICT field. 0201 (0603mm) size is the top-seller in the ICT field. 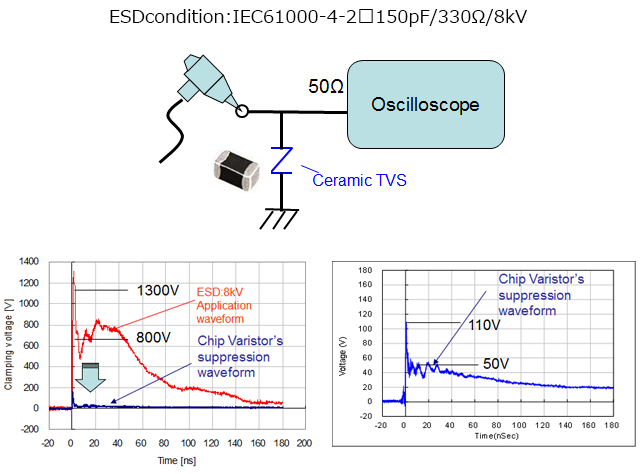 Recently, there are strong demands for smaller/low-cost electrostatic countermeasure components. 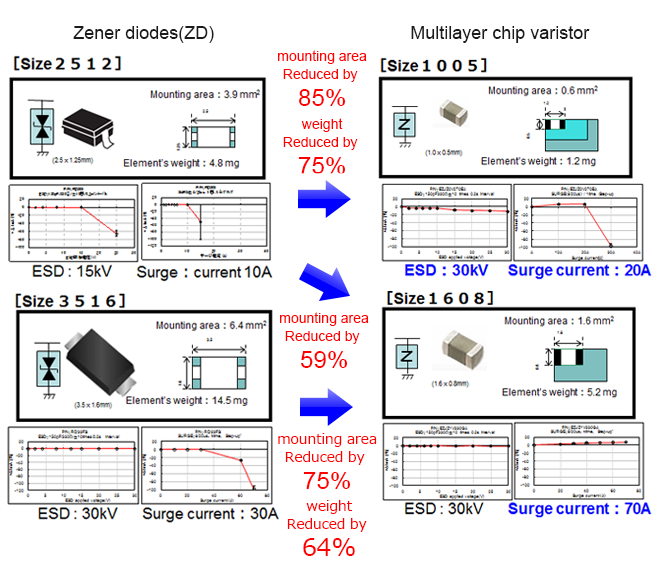 The move to replace Zener diode with Varistor is accelerating. Others … reducing components and costs, and shorten a delivery period etc. We can conduct additional tests to meet your special demands. We provide the device parameter, which is compatible with various simulator and CAD. 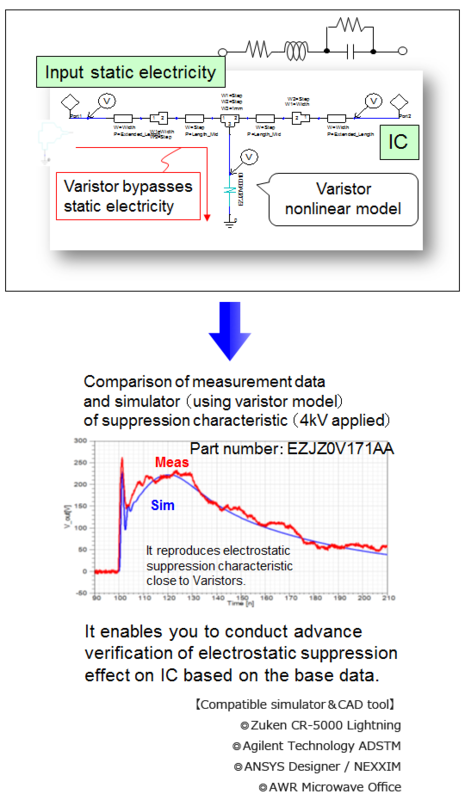 Frequency characteristic data, equivalent circuit models and S-parameter data can be downloaded for each individual item number.